Mechanical Engineering Department, Dalian Jiaotong University, Dalian 116000, China. Base on the characteristics of high-speed and heavy-load locomotive traction gear, a pre-grinding hob was designed which increased the thickness of the dangerous tooth root section as much as possible. 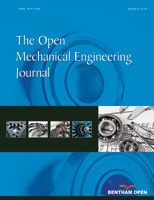 The deformation and stress of the traction gears were calculated through the parameterized model established by finite element method. The tooth profile modification was implemented considering three locomotive working conditions including starting, sustain, and rapid operation. Finally, the related tests verified that the optimized transmission gear was in accordance the design requirements, the effect was good.